$1.49 to $39.99 & FREE Shipping on orders over $59 $35. Strong fermenter for producing full bodied reds, especially good with grapes from the Cabernet and Zinfandel families. Ferments from 60 to 80 degrees. 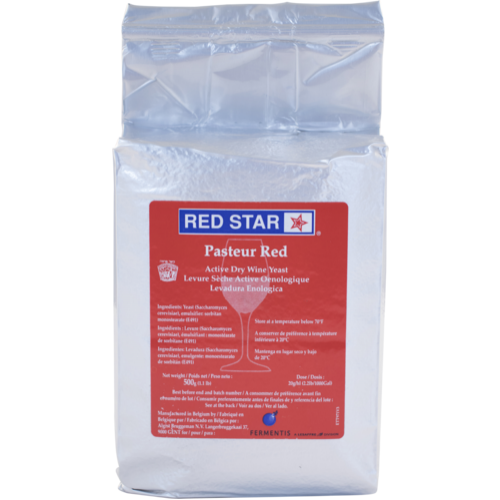 This is the yeast formally known as Pasteur Red. 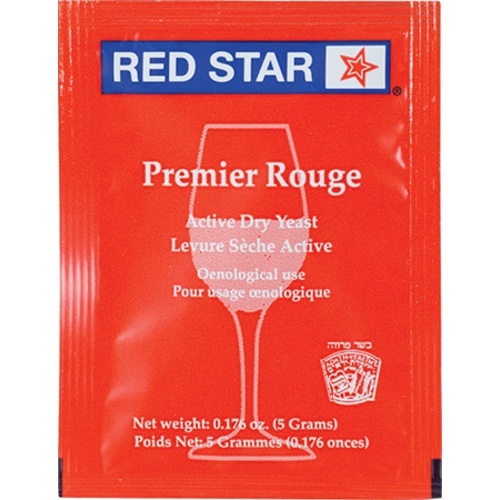 The 5 gram packet contains enough yeast to make 5 gallons of wine. Rehydrate at 104F or read our guide below for best rehydration practices. I have used this ltem for two years. It is easy,proved success.